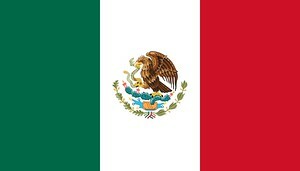 Mexico is a North American country bordered on the north by the US, and the Pacific Ocean on the south and west. It is the fifth largest country in America with an estimated land area of 2,000,000 square kilometers. At a population count of 113 million, there are only ten other countries in the world with more population than Mexico. 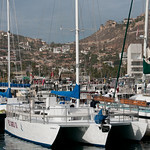 Travel to Mexico is popular especially with famous tourist destinations like Cabo San Lucas, Cancun and Acapulco. The major source of economy in Mexico is oil. In fact, the country is tenth in the world when it comes to oil production. It is also the largest producer of silver in the world. It also gained recognition as the first Latin country to become a member of the Organization for Economic Co-Operation and Development. Mexico follows the federal form of governance. Among the top tourist attractions in Mexico include the pre-Hispanic city of Veracruz, Riviera Maya, Chichen Itza, Cabo San Lucas, and Acapulco, among others. 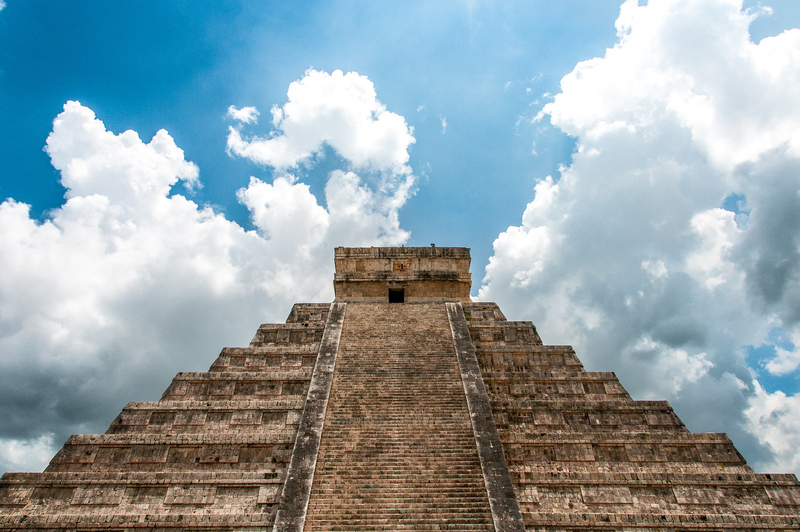 The history of Mexico spans for at least three millennia. The first record of settlement in Mexico was way back 13,000 years ago. During this time, Mexico is made up of several indigenous civilizations. 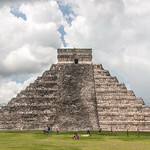 The Mesoamerican civilization is one of the most powerful and advanced civilizations from the prehistoric period. In fact, they were among the first few civilizations to develop a form of writing so that the Mesoamericans already knew how to arrive even before the Spaniards arrived to conquer it in the 16th century. The ancient capital of Mexico was the Aztec city of Tenochtitlan. It is now what is known as modern-day Mexico City. To this day, the capital is the most populated city in the entire country. During the time of the Spanish occupation in Mexico, the Aztec empire turned into the Spanish Empire. The center of colonial activity was in Mexico City. The mixture of the Mesoamerican culture with that of the Spanish influences is best represented in the country’s language. In fact, Spanish is one of the primary languages in the country, although there are several regions that still use the native language. The spread of Catholicism in Mexico is also yet another example of the colonial influence. 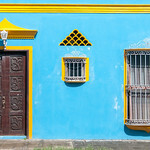 Connectivity: There is a wide availability of wireless internet connection in Mexico although it varies on where you are getting your internet connection from. Understandably, the quality of WiFi connection on touristy areas is very high. Most hotels also have free connectivity although the quality is not very reliable. A more suitable option is to purchase a local sim card instead. For MXN200 (US$11.20), you can get up to 1GB of data using your local sim. You can choose from any of the top three telco providers in Mexico: Telcel, Movistar and AT&T. Visa Required: Mexico employs visa exemption on 65 countries. If you are a foreign tourist who does not belong or come from any of these countries, then you need to acquire a visa before you can travel to Mexico. Those who travel to Mexico for leisure or business purposes, you have a maximum of 180 days’ stay in Mexico. International Driver’s License Accepted? Most American and European driver’s licenses are honored in Mexico. However, you might need to obtain an international driving permit and have it translated into Spanish. Crime: Foreign citizens traveling to Mexico are warned about the risk of traveling to certain places in the country for threats to safety and security due to the increasing crime rate in Mexico, mostly organized by crime groups. Navigation: Getting around Mexico can be troublesome. Depending on the day or time, the roads can become easily congested. With the open roads, the driving experience can be completely different though. For a more comfortable travel, you can easily find taxis in Mexico. It is relatively inexpensive and the ideal way to get around especially within the city. There are three metro systems in Mexico: the two are rail-based and one of them is a bus metro system. The main mass transport system that is also rail-based is called El Metro. The train mostly runs underground but there are some routes that travel over the ground, too. There are 12 lines in total that navigate its way around Mexico City. The rail lines can access most of the major parts of the city but Micros (or local buses) can help you reach those other areas that are not served by the rail lines. The other rail system is known as Tren Ligero, which is an extension of the main metro system in Mexico. The cuisine of Mexico is one of the most celebrated and popular cuisines in the world. It has many distinctive characteristics that were formed out of several influences from various other parts of the world, mostly Spanish and indigenous Mexican groups. Thus, it helps to shape the cultural identity of the country and also makes it one of the favorite cuisines for many people who visit the country. You cannot talk about Mexican cuisine without talking about tacos. This is the perennial favorite among any other items from the list of Mexican foods. In fact, this dish is well loved all over the world, not just for those who travel to Mexico. There are many variations to the taco recipe that provide a more Westernized version of the Mexican favorite. Aside from tacos, quesadillas and tortas are also Mexican staples. Meanwhile, the guacamole is another popular offering from the Mexican cuisine that dates back to the pre-Hispanic era of Mexico. Essentially, Mexican cuisine is best known for the ingredients they use. Among the most common ingredients used in Mexican cooking are corn, chili peppers, tomatoes, squashes, avocados, and other types of tropical fruits (such as mango and pineapple). The head of state in Mexico is the President. The term lasts for 6 years and is not eligible for re-election. The population of Mexico is 120 million. About 88% of the entire population is Roman Catholic. The climactic conditions in Mexico varies according to topography. The low-lying coastal areas are hot for most of the year. Meanwhile, the interior regions experience moderate climate. The average annual temperature in Mexico is 64 F or 18 C.
When planning your travel to Mexico, avoid the rainy season (May to September) or hurricane season (May to November). There are four time zones in Mexico. Mexico ranks number 14 in the world in terms of country size by land area. There are 31 states that make up Mexico. As the capital of Mexico, it is a must to visit this city when you travel to Mexico. This is one of the most densely populated areas in Mexico and is best known for Templo Mayor, which is a 13th-century Aztec temple. You will also find many colonial buildings throughout the city including Palacio Nacional and the Catedral Metropolitana de Mexico. You will find these historic buildings concentrated within Plaza de la Constitucion. When in Mexico City, it is also recommended that you visit the Frida Kahlo Museum and Chapultepec Castle. Cancun is a city located on the Yucatan Peninsula and is bordered by the Caribbean Sea. Hence, Cancun is popular with tourists who want to experience the gorgeous beaches and nightlife. There are two distinct areas in Cancun: the downtown area and the beachfront strip. 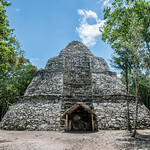 It is also popular among tourists seeking cultural activities as it is home to many Mayan artifacts. 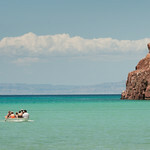 This is another popular destination for those who travel to Mexico that seeks out gorgeous beaches. It belongs to the state of Quintana Roo wherein there are also plenty of restaurants, nightspots, dance clubs, restaurants, and more. 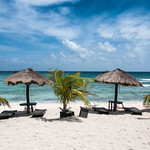 There are also many scuba diving and snorkeling spots in Playa del Carmen. 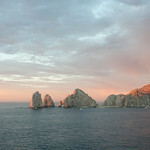 You cannot talk about travel to Mexico without talking about Cabo San Lucas. This is a beach resort town in Mexico with a host of many tourist attractions. The main beach in Cabo San Lucas is the Playa El Medano. 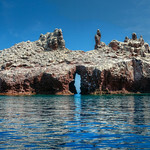 Other notable attractions include El Arco, Land’s End, and Parque Nacional Cabo Pulmo. 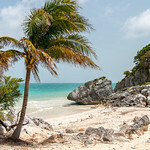 The Yucatan Peninsula is packed with many resort and beach towns that are worth visiting during your travel to Mexico. Thus, you need to add a trip to Tulum in your itinerary when you visit the country. This part of the Mexican Caribbean coastline is known for its preserved ruins. 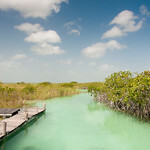 The coastal area of Tulum is also filled with mangroves and cenotes. If you love to explore wildlife, there are plenty of endemic ones you can find in Tulum such as the loggerhead turtles and iguanas. Located in Central Mexico, Oaxaca is one of the must-see destinations in Mexico. This city is best known for the many colonial buildings that are known for its green volcanic stone. The Zocalo Square is the best place to go to if you want to see these gorgeous colonial buildings concentrated in one area. 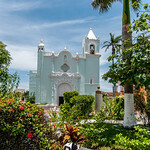 Do not miss the 16th century Templo de Santo Domingo church, which is notable for its baroque interior. The list of resort towns in Mexico does not end as Acapulco is another one to add to your list of must-see destinations. Acapulco is located in the Pacific coast of Mexico. This town became famous in the 1950s to the 1960s for the golf and beaches. The Old Acapulco area is also a great destination for those seeking cultural attractions. 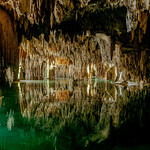 This is another destination located on the Yucatan Peninsula. This city is home to many cultural destinations such as Chichen Itza, Convent of San Bernardino of Siena, and Catedral of San Gervasio. There are also two major cenotes near the city for those who want to experience natural attractions namely Cenote Zaci and Cenote Samula. Lonely Planet Mexico (Travel Guide). A comprehensive guide by 9 authors on the most relevant information on what to see and do (or skip!) in Mexico. Also includes cultural insights and honest reviews on experiences. Mexico City: An Opinionated Guide for the Curious Traveler. A book written by Jim Johnston to provide an in-and-out guide on one of the largest metropolis in the planet: Mexico City. The Rough Guide to Mexico. 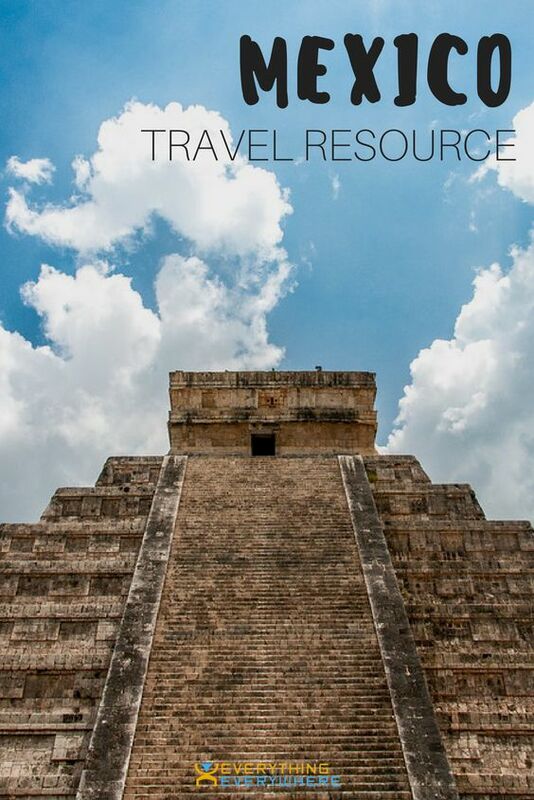 A comprehensive and detailed guide to help you experience the vast cultural, culinary, and natural attractions of Mexico. Top 10 Mexico City (Eyewitness Top 10 Travel Guide). This book has the Top 10 lists of everything you want to see or do in Mexico City. Traveler’s Guide to Mexican Camping: Explore Mexico, Guatemala, and Belize with Your RV or Tent (Traveler’s Guide series). This is the ultimate tour guide that will help you prepare for your trip, which includes demonstrative photographs.